A perfect introduction to the sounds and rhythm of another language, Un Deux Trois - First French Rhymes encourages children to imitate sounds they hear in order to develop a good French accent and absorb the fluency of the language. With a host of characters, animals and birds illustrating over 25 simple rhymes and songs, young children will enjoy learning and speaking in French. The accompanying free CD features the songs and rhymes performed by native speakers (both children and adults). A guide includes information about how the rhymes are used, and highlights useful phrases. 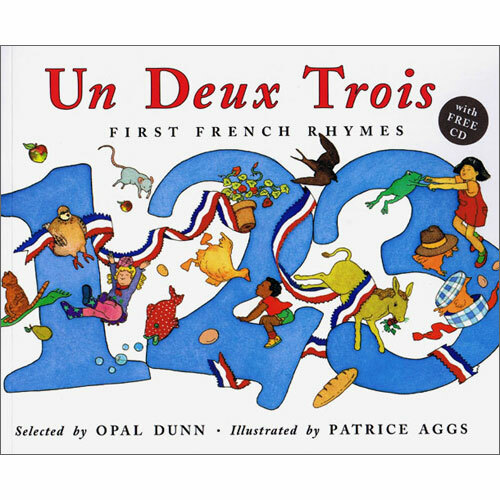 Un Deux Trois - First French Rhymes is intended for use with children who are learning French as a foreign language. 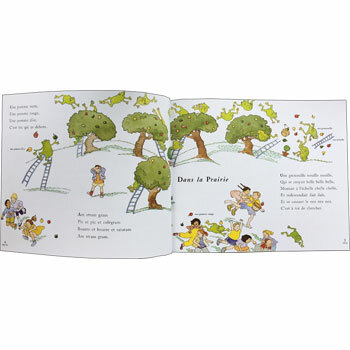 Although it would probably be helpful for the parent to have a basic knowledge of the French language, this is not essential as all of the dialogue is featured on the CD, read by a native French speaker and translations are provided at the end of the book.